I received this book free in exchange for a review. Despite that kindness I give my candid thoughts below. On the positive side, this book is a tremendously detailed and honest view of the author’s harrowing marriage to a man who could most succinctly be described as a narcissistic buffoon. The author holds back nothing and at times even transcribes episodes verbatim that put both parties in a pretty poor light. Our heroine is not only a sad victim but also deeply flawed and this sort of honesty is unique and admirable in a memoir. Sadly, the negative aspects of the novel cleave closely to the positive ones. Yes, the narrative is detailed but much of the time it’s too detailed. Entire email threads, conversations and court filings are reprinted word for word and while these do back up the story they are ill-fitting additions to the text. Further, at too many points to make specific note of, the author descends into rants of profanity and name-calling against her child’s father. While I’m in no way denying that he deserved it, I’m not sure that as a parent I would want to put down in text my own worst moments for my child to read when they grow up. At times the tide of sympathy does at least contemplate turning more towards the neutral after a particularly protracted bout of verbal assassination. Lastly, I’m really not entirely sure what this book is trying to be. From a content perspective it has the makings of a great novel but the writing style is more like something you would read in the police blotter. As readers do we need a day-by-day log of what happened? Under all the documentation and transcribed conversations there’s a really good book but as-is it’s rather a muddle. In summary, a great and sincere story but it could use considerable cleaning up to make it a sharp and readable offering. Firstly, let me state that I am no expert in the realm of poetry, but like most of us, I know what I like. My criteria are rather straightforward in that I seek first to ask if it’s clear the work has something to “say” to the reader. Is there some deeper meaning than that merely indicated by the raw words on the page? In this case I have no doubt that the writer is trying to say something of deep personal consequence but for whatever reason it is utterly beyond my ability to tease out exactly what that meaning might be. I would not go so far as to compare it to poetry of the Vogon variety but it seems to fall only a few syllables short of such status. In part, I would posit that as an Suburban American reader the context of this rural English setting is already rather alien. When you add to that the author’s almost constant use of bizarre turns of phrase: “cold and sodden as a babys bath mat”, “leaving momentos of sheep warts”, “… he could just roll over and die after a selfless decades soul-destroying battle against the law, obtaining press exposure flying (as an old air-mans wind-sock) some trussed solicitors trousers from his flag-pole for an obscurantist embezzlement of aunties will…” As I said, there’s something here I’m sure but it’s hidden deeply behind the 20th or 30th reading. Even after reading the notes on a few poems and going back to read them again I’m STILL not entirely sure what the literal meaning is supposed to be let alone the deeper symbolic one. The second view I take on poetry is of a more technical sort. How well did the author either adhere to conventional forms or blaze a trail to create new ones. In this angle on the poetic arts this author does rather better. He does, at times, force his rhymes and has no general respect for meter but the vast majority of his poems seem to be free verse so there’s no basis for complaint since free verse is inherently just that. Do as you see fit, dear Author. In summary, this is a book of poetry for the exceptionally patient. There are, even after 20 readings, only glimmerings of meaning evident in much of this book but perhaps it is the 30th reading which really holds the key. 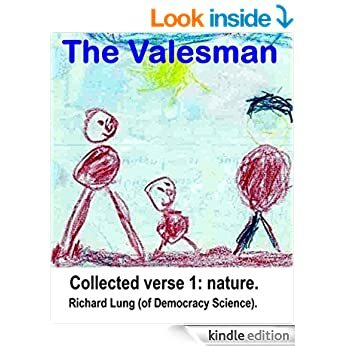 For me, it simply wasn’t worth the trip but for those who prefer their poetry readings to be more akin to spelunking expeditions into the bowels of winding prolixity, this may be exactly the book for you. I received this book from the author in exchange for an honest review. Despite that kindness my candid thoughts follow below. Firstly, this is a YA novel so the first and overriding question I ask myself is, simply, whether I would want my own children to read it. To that simple question, like Dukes’ previous novel, I respond with a resounding YES. Dukes’ book is suspenseful without being absurdly graphic and complex without being overtly adult. He manages to engage with his readers without bashing them over the head. Further, he teaches them something without TEACHING them SOMETHING, if you get my drift. Martin Dukes is among the best at treading that fine line. The second question that bounces in my head for YA novels is whether it’s actually entertaining. Again, my answer is yes, but less resoundingly so than for the previous novel. This novel is a sequel only really in that it deals with the same characters, not due to any cohesiveness of theme. The author has expanded the scope of his world greatly but those who liked the first in the series may or may not like the second. The tone and pace are completely different so they really must be judged as entirely separate entities. Lastly, it must be asked if the reader will learn anything from the novel. As before, the answer is to the affirmative with liberal inclusion of new concepts ranging from history and geography to multi-dimensional cosmological theories. There is a lot to be teased out of this work if you look closely for it. Leaving aside the YA genre for a bit, Dukes’ work has always enthralled me despite my adult status. He weaves together very skillfully the genre of escapist fantasy with an almost Dan Brown sort of mythology. His work is a blend of “What Dreams May Come” and a 1950s Sinbad adventure movie. He can take two things with seemingly no real relationship to each other and spin them up in exotic and surprising ways. The negatives I would note are few and far between but not to be omitted. The most notable defect is the cover of the book itself. My fiancee and I both were struck immediately at how poorly it makes the potential reader want to pick up the book. Had I not had previous experience with this author I might have tucked it quietly into the “I’ll get to this later…. maybe…” pile. The title too does not especially inspire and fails utterly to represent the book in a positive manner. Lastly, the typography in my edition was a bit off. In several instances whole words or sentences were omitted. A careful reading of the proofs is advised for any subsequent printings. 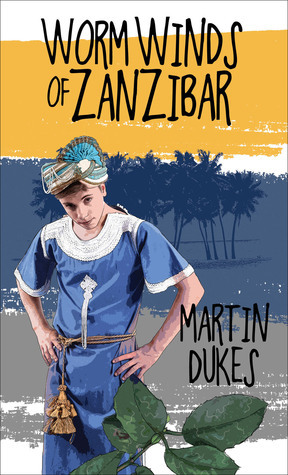 In summary, Martin Dukes’ series of novels is one of the few that I would recommend wholeheartedly not only for content and entertainment but for sheer educational potential.